Vacation Bible School will be held in the evening, the week of July 9-13. We are asking for help in several areas: people to provide nightly meals, storytellers, volunteers to help decorate, group leaders for the different grade levels, craft leaders, etc. A sign-up sheet is on the bulletin board. We appreciate your continued help. Please let Caroline or Alyssa know if you have any questions. The Florence Exchange Club of Florence recognized First Christian Church on June 26 during their luncheon. First Christian Church was given a plaque recognizing our display of The American Flag. THOMAS HAYNES GRADUATED IN DECEMBER 2017 FROM THE UNIVERSITY OF ALABAMA. 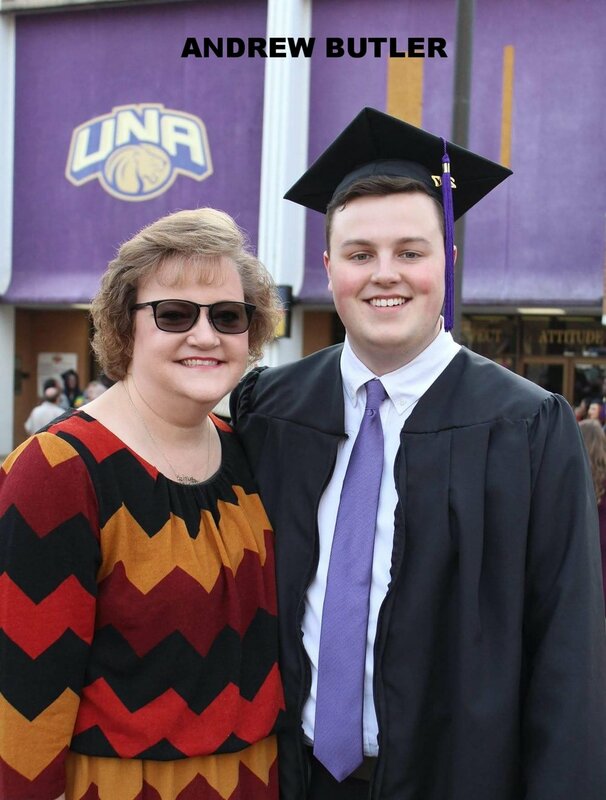 ANDREW BUTLER GRADUATED IN DECEMBER 2017 FROM THE UNIVERSITY OF NORTH ALABAMA. 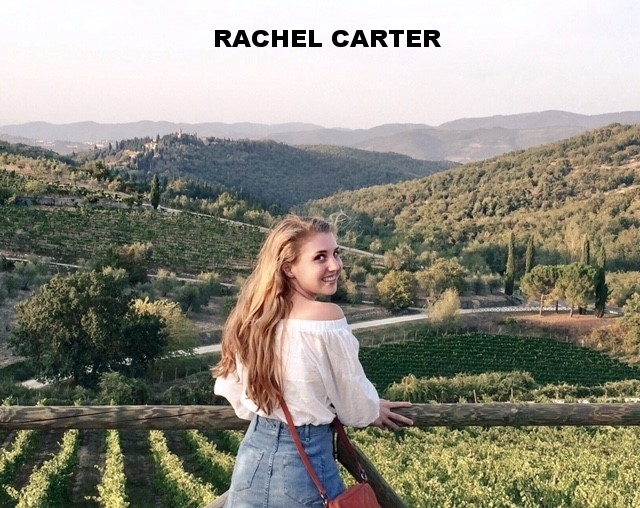 RACHEL CARTER GRADUATED FROM KENT STATE UNIVERSITY IN MAY 2018. 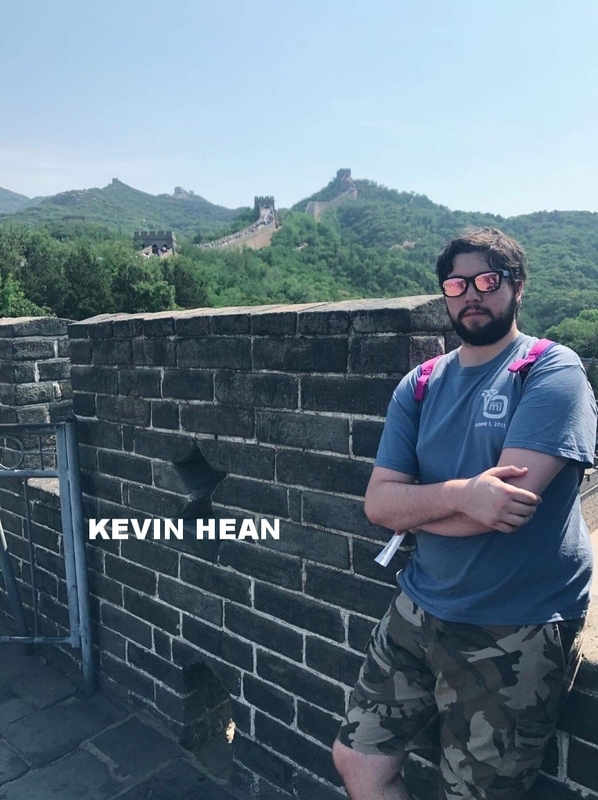 KEVIN HEAN GRADUATED FROM THE UNIVERSITY OF NORTH ALABAMA IN MAY 2018. MARY LINDSAY LOVELACE GRADUATED FROM THE UNIVERSITY OF ALABAMA IN MAY 2018. SARAH KATE COUSSONS WILL GRADUATE FROM FLORENCE HIGH SCHOOL IN MAY 2018. MAGGIE STORIE WILL GRADUATE FROM SHOALS CHRISTIAN SCHOOL IN MAY 2018. Fox Sports Shoals has been delivering certificates for the Scholar Athlete of the Week presented by University Chevy Buick GMC of Tuscumbia. Congrats, Charlie Champagne of Florence High School. This weekend was Florence Academy of Fine Arts Connection 2018! Congratulations to Ann Lilly McDaniel and Kathryn Sanford on a great show! Larry Bates is the recipient of the Eleanor Gaunder Teaching Award, sponsored by the UNA Chapter of Phi Kappa Phi, an academic honor society. The award is named after Gaunder, a professor of English at UNA, recognized for her outstanding teaching. Bates, who received his Ph.D. in clinical psychology from Auburn University, is in his 19th year at UNA. He served two terms on the Alabama Board of Examiners in Psychology, which oversees all psychology licensees in the state. Bates was honored during a ceremony in the Guillot University Center. Congratulations to the new Alabama State Parks Foundation and its new Board President Dan Hendricks!!!! 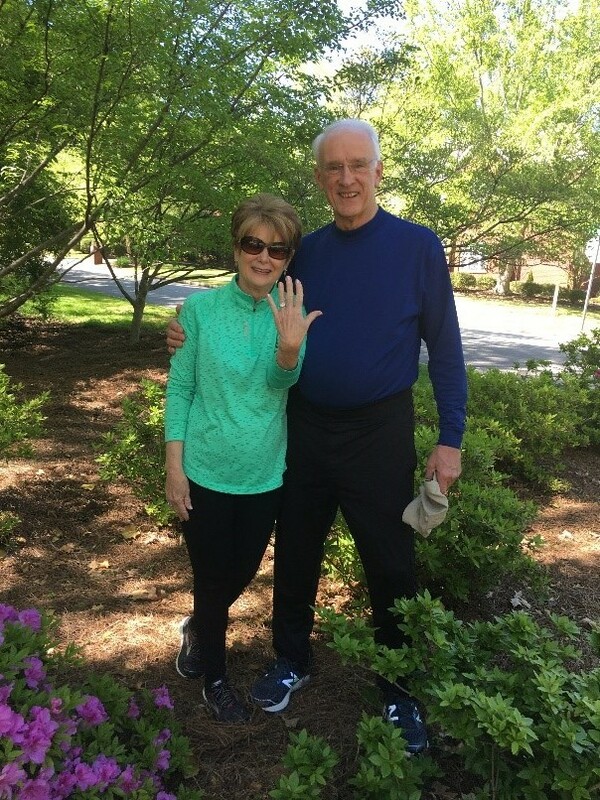 The photo is of Dan and his wife Barb.